I am a parent and a science teacher, and thus, I have heard of the International General Certificate of Secondary Education (IGCSE). It is the world’s most widely used international qualification for 14-16-year-olds, developed by the University of Cambridge over 25 years ago -- it is tried, tested and trusted by leading schools worldwide. But all of that aside, is it the right choice? There are several reasons why I would still choose the IGCSE, even in a world of other choices, namely Knowledge, Skills and Reputation. There is much talk among educators about knowledge. Traditional curriculums often focus on the acquisition of knowledge -- with the teacher as the source of knowledge, and standardized tests as the assessor of that knowledge. This more traditional idea has been under a lot of scrutiny with the increased popularity of contemporary curriculums which promote student inquiry, placing the student at the center of the learning process. This innovation has improved education worldwide; student-centered inquiry learning opens up new and exciting possibilities for learning. However, at the centre of this storm of inquiry learning are teachers who are asking questions about knowledge and wondering how much children are acquiring. IGCSE in the middle years can answer these questions about knowledge. As an educator, I believe that the early years are the time when we learn how to learn, and inquiry is an effective approach. The middle years is when we acquire subject-specific knowledge; we use our inquiry skills as well as the new and exciting knowledge that our teachers bring to our learning. The senior years is when we further apply this knowledge, to develop skills in research and critical analysis in order to form arguments and opinions. Knowledge is key in those middle years and there is no better curriculum for knowledge acquisition than the IGCSE. And with over 70 subjects being offered at IGCSE, students can choose subjects they love and subjects they’re good at – building deeper understanding and higher order thinking skills to apply what they’ve learned – preparing them for further education and beyond. Most of us hate taking tests. This is because of the range of skills test-taking requires -- and without these skills, we will often be at a loss throughout our lives. Good teachers in the middle years help build the confidence we require to take the important tests life will inevitably throw our way. 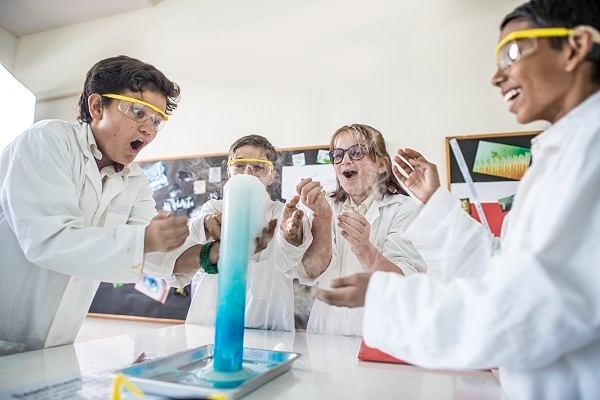 Skills are just as important as the knowledge, and these are solidified with the IGCSE in the middle years – helping to improve performance by developing skills in creative thinking, inquiry and problem-solving as they become confident, responsible, reflective, innovative and engaged learners. Cambridge is one of the world’s most respected education institutions. This is not an accident; the IGCSE have become a gold standard for learning among schools and employers the world over. A recent survey of higher education admissions officers found 98% said Cambridge qualifications provide students excellent preparation for university. Success in Cambridge qualifications often give students admission to the world’s best universities -- including MIT, Harvard and Cambridge -- and are recognized as preparing and equipping students with the skills they need to succeed both at university and beyond. The IGCSE brings more choice and support than any other examination system and, with its reputation and long-standing history, is best known and understood by educators and schools which deliver it. 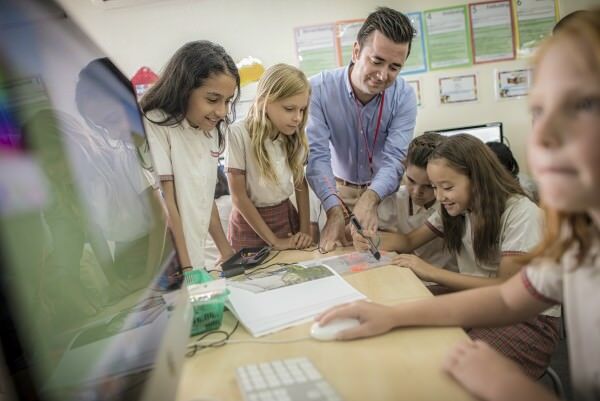 To learn more about our IGCSE programme, visit EtonHouse International School Broadrick. Kelvin Chin is a Secondary Science Teacher and IGCSE Coordinator and at EtonHouse International School (Broadrick).